Really like the stair runner - where is this from? This design can be made for you with a minimum of 22 square meters in a number of colour options. 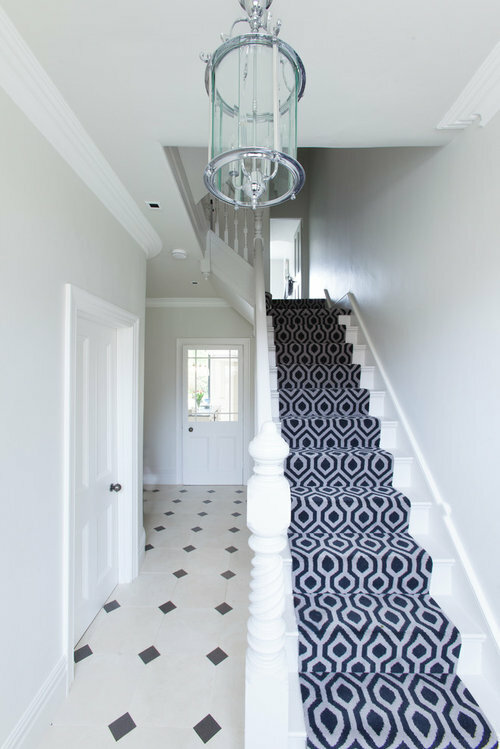 Millers are a member of a group of high quality carpet companies. If you let me know where you are I can advise you where to get the best advice. Thanks, love those patterns. Living in Ireland. Starting from the beginning with a Victorian house! How to transition from carpet stairs to wood landing? Win an iPad - Vote for your favourite Irish photo!